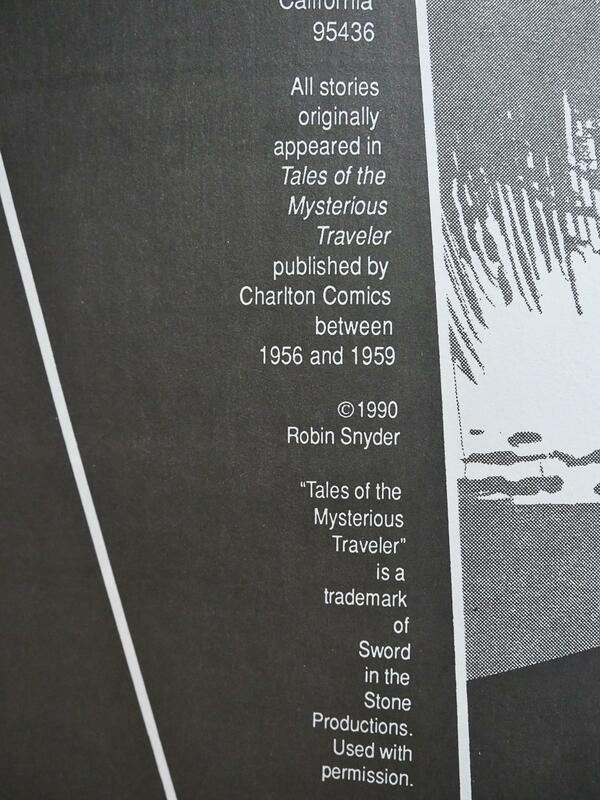 Tales of the Mysterious Traveler (1990) by Steve Ditko et al. 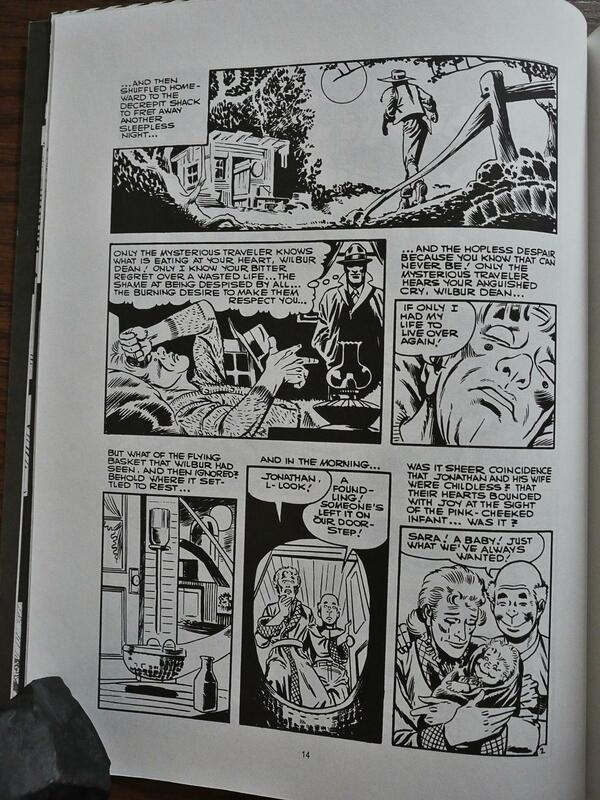 Ditko died earlier this year, and that led to an abundance of articles and tweets about Ditko. Many celebrated his artwork, but many also focused on him being all “weird”. According to these tales, his weirdness consisted of 1) him not wanting to talk to them, and 2) him being totally unreasonable about trivial matters. This article is a pretty good skewering of the 1) people: I completely agree with what she’s writing there. There’s nothing weird about not wanting to be part of comics fandom. I think he went way beyond the call of duty: He actually responded whenever anybody contacted him, and then was ridiculed because he was terse. 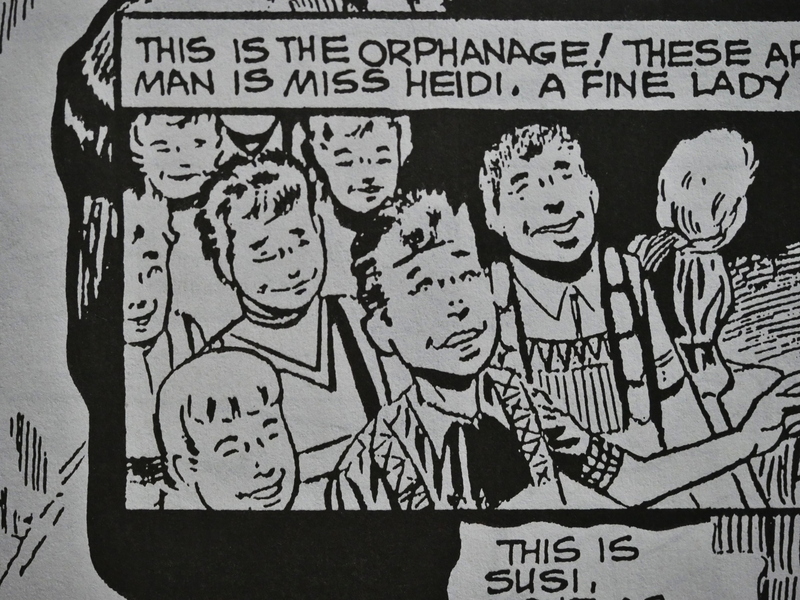 So… I have no doubt that Ditko was ornery, but I think the way he separated his personal life from his work was both sane and reasonable. Anyway! This is a reprint of late-50s Ditko work that I assumed would be in the public domain. But it’s copyrighted by Ditko’s future publisher Robin Snyder, so perhaps Ditko got some money out of it, and perhaps even gave Eclipse permission to do the book? 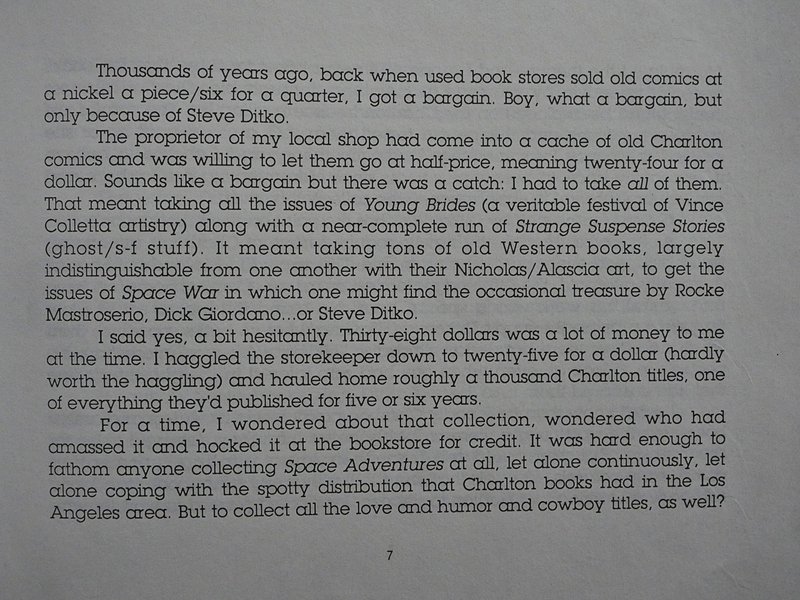 Mark Evanier tells the story of how he bought 1K Charlton comics in his childhood. 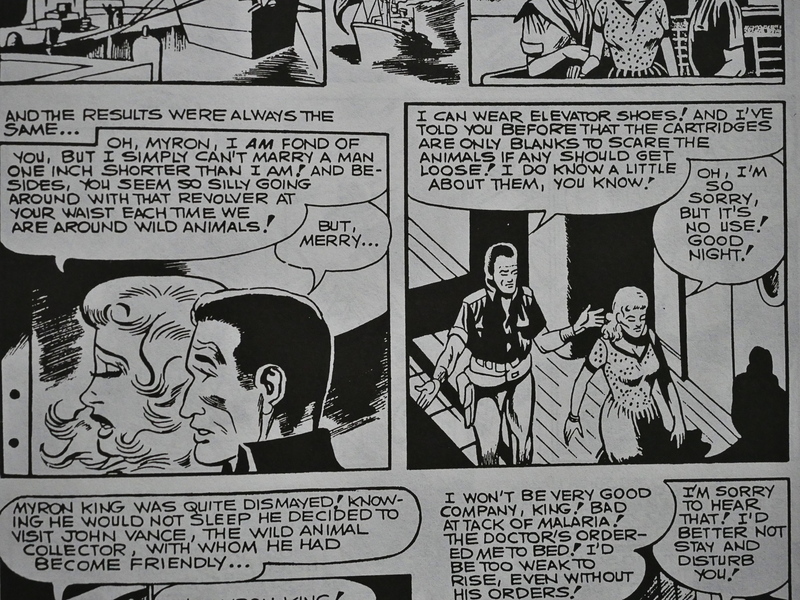 He had to take some (eww) romance and (ewwww) cowboy comics, too, but it gave him a solid cache of Ditko. Charlton was infamously the cheapest of all the publishers. 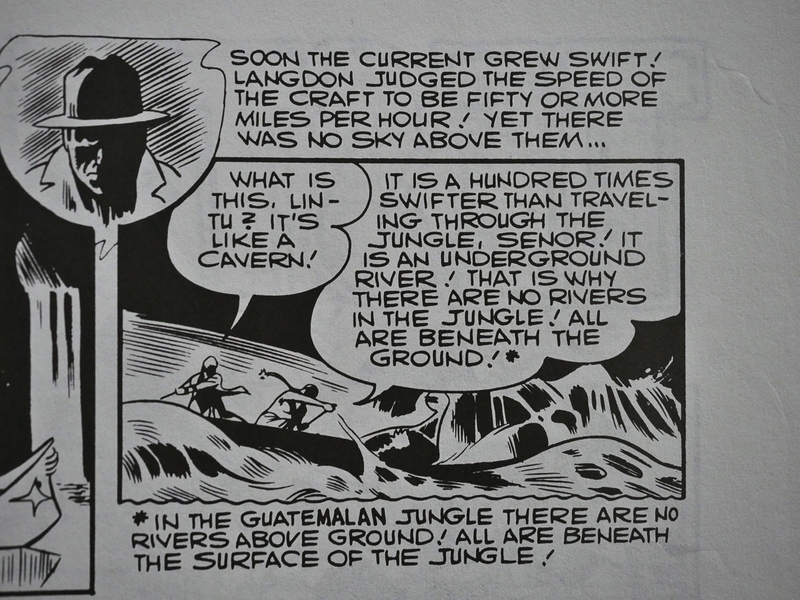 The pay was lousy, but as they churned out oodles of comic books, there was next to no editorial control or interference, which suited Ditko very well. The authors of these stories are not mentioned, but apparently Ditko didn’t write them himself? They’re mostly “twist ending” comics, and they’re all in the four to six page range, so reading these all in a sitting could have been a repetitive chore. But they’re a rather varied bunch within that framework. And the quality varies wildly. 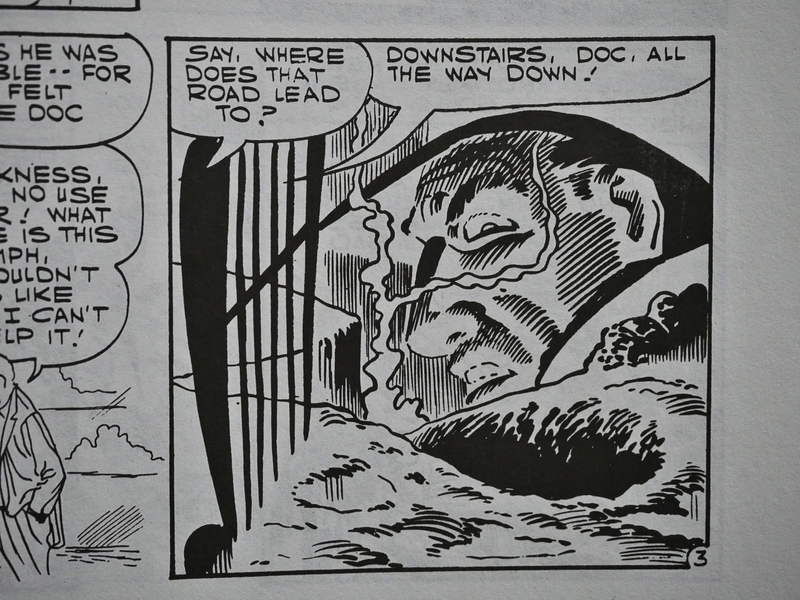 Ditko’s artwork is the main point here, though, and he certainly looks like he’s having fun. The concept of The Mysterious Traveler is that there’s this all-seeing dude who, er, see’s what’s going on and tells us the story. 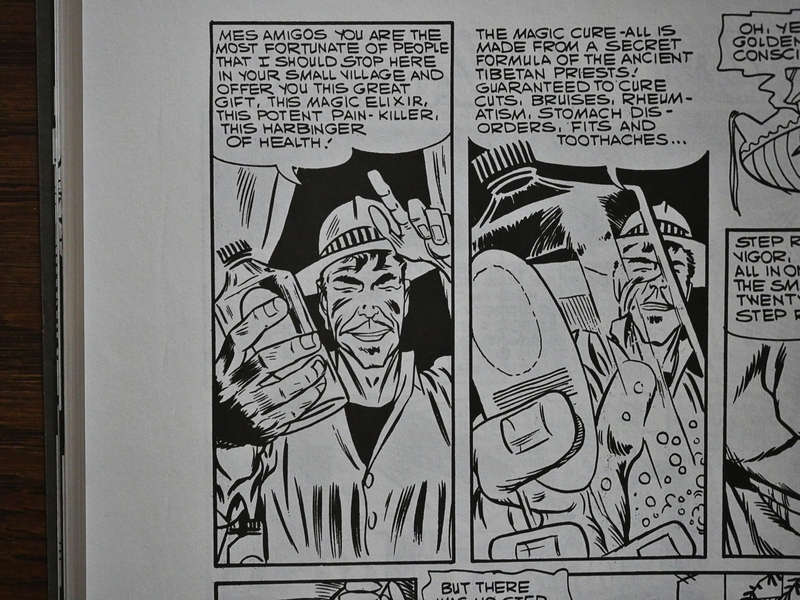 So Ditko has to work him in on just about every page, and it’s fun to see all the different ways he has of doing that. On the page above we get a very dramatic in-between panel zoom on hist very dramatic face. Perhaps a bit of editing on the text would have been appropriate. *gasp* One inch shorter! Elevator shoes! How’s that for a concept for a story? 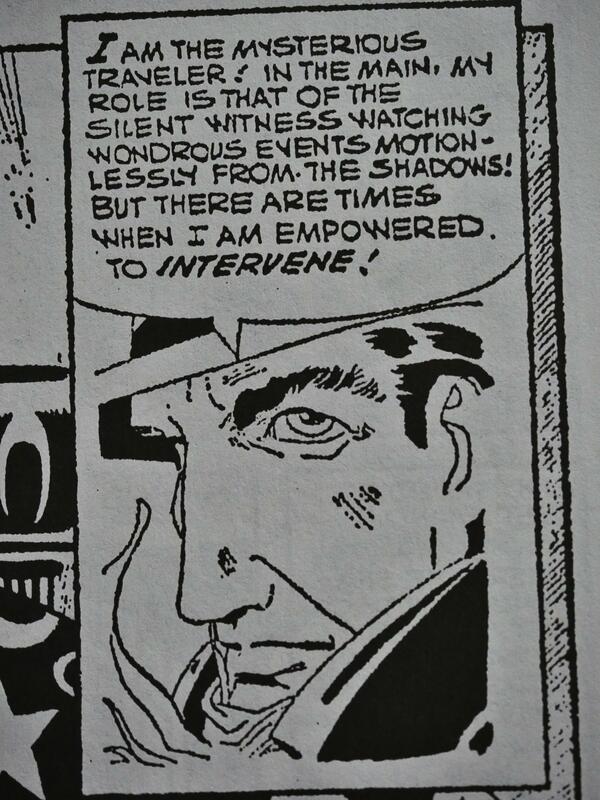 Ditko is a very clear storyteller: There’s never any doubt as to what’s going on. So while that’s his priority, he experiments a lot with how to show us things. Isn’t that a great sequence? 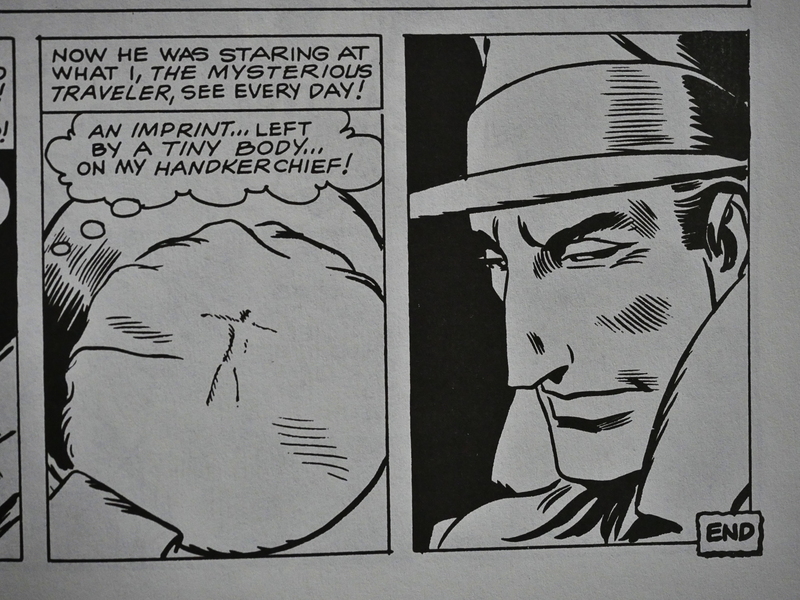 He, The Mysterious Traveler, sees an imprint of a tiny body… on some other guy’s handkerchief! Every day! I’d smirk, too, if that were the case. 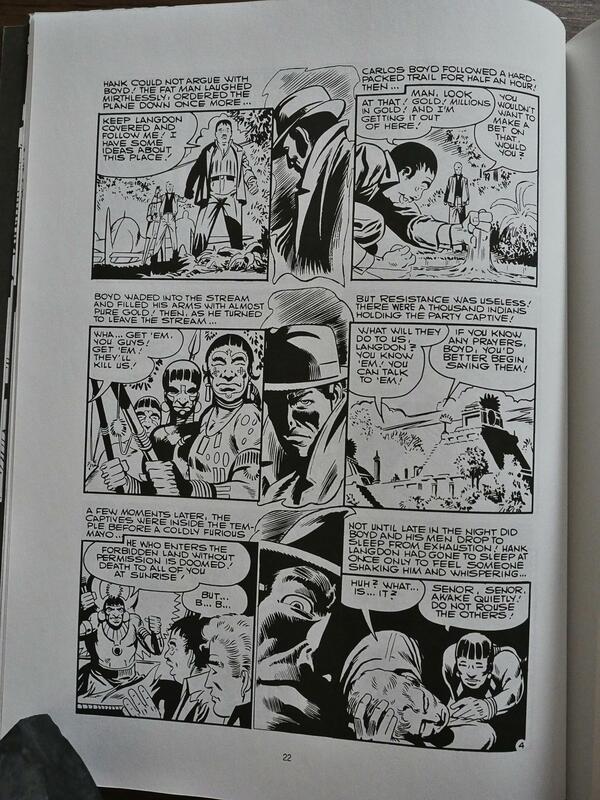 The reproduction in this book is mostly better than you’d expect from comics reproduced from printed copies. So perhaps they were shot from the original artwork? There’s a couple of stories that have that disintegrated look (like above), but it’s mostly very nice. 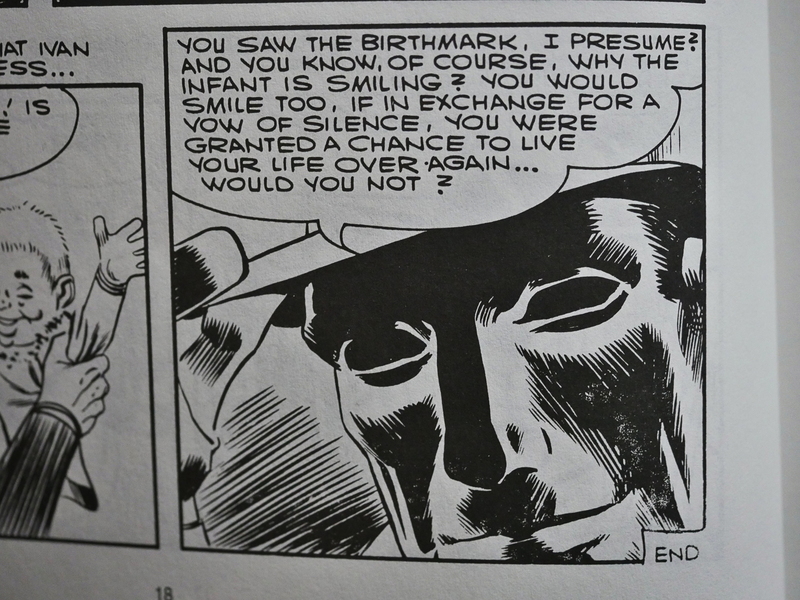 The final story is completely atypical: It doesn’t really look like Ditko, and it’s signed J. Kodta. There are no search results for ‘”J. Kodta” ditko’ on the Googles, so I have no idea what’s that about. Now there’s a search result, though. 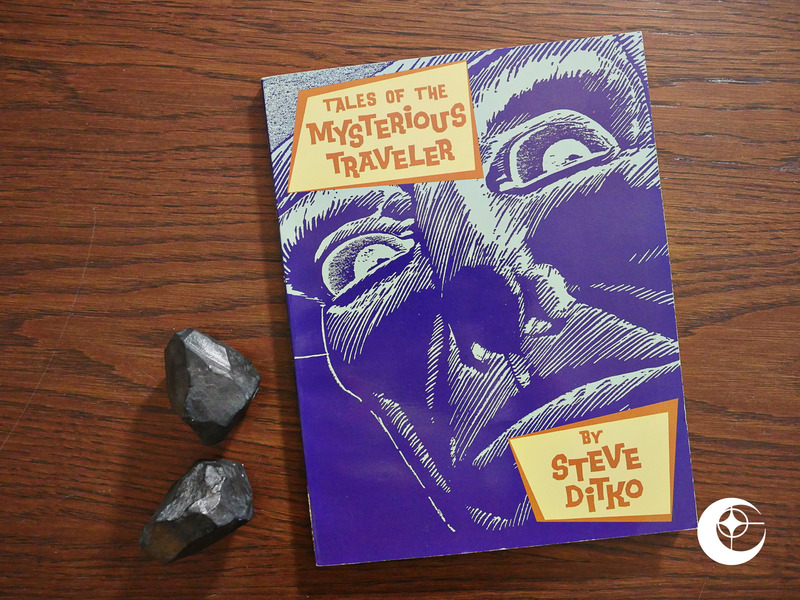 This volume doesn’t seem to have been reprinted, but Fantagraphics released a bigger collection of Mysterious Traveler stories in 2012 (in colour). There doesn’t seem to be an overlap with the stories in this collection, as far as I can tell. Next Next post: 1990: What’s Michael?